The Skyscraper at SKYPLEX will be 570 feet tall, making it the tallest roller coaster in the world. Click here to view a video animation of the project. 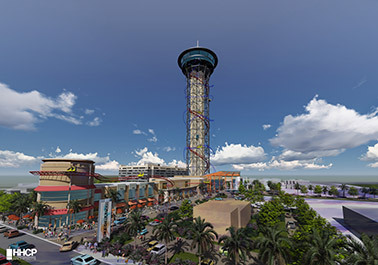 ORLANDO, FLA. -- The owners of Mango's Tropical Caf� Orlando and Mango's Tropical Caf� South Beach, David and Joshua Wallack, plan to develop the world's tallest roller coaster, The Skyscraper, and the SKYPLEX indoor entertainment complex at International Drive and Sand Lake Road in Orlando. The $200 million SKYPLEX will comprise approximately 495,000 square feet located on 12 acres. 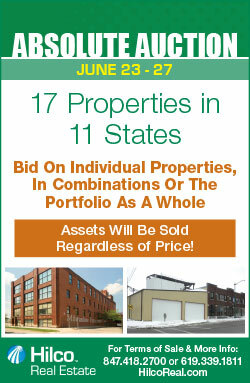 The development will break ground in 2015 and is expected to open in 2016. The Skyscraper at SKYPLEX, to be built near the soon-to-open Orlando Eye 425-foot Ferris wheel, will be a unique addition to Orlando's skyline. "Next to our theme parks, International Drive is one of the most recognized icons of Orlando," says George Aguel, president and CEO of Visit Orlando. "It's exciting for our tourism community to see this type of investment being made to continuously raise the bar on the dining and entertainment experiences we offer across our destination." The Skyscraper at SKYPLEX is 570 feet tall and will feature the first "Polercoaster" built. The structure is a vertical roller coaster created with coaster-length tracks featuring "all the other thrilling mayhem" but "in a very small footprint," according to Michael Kitchen, president of US Thrill Rides, the Orlando-based company that created the ride. 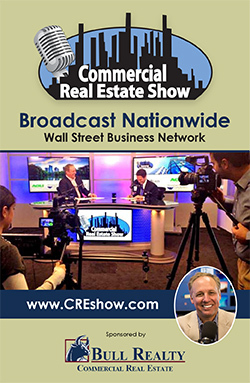 Fred Arena, founder and managing partner of Vision Properties/Arena Capital Group, is based in New Jersey, and his firm is an active investor in Charlotte, N.C. Arena says it's been difficult to partner with Northeast investors because of the perception that some have of the Carolinas office market. Unfamiliar with the area, some investors are hesitant to get involved in developing and acquiring office properties, according to Arena. 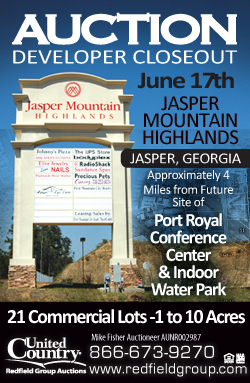 Arena hopes his commentary during the panel entitled "Office Market Update: What's the Outlook for Leasing, Investment & Development in North & South Carolina Office Property?" will erase that hesitation. The panel will take place Wednesday morning, June 11 during the 2014 InterFace Carolinas information and networking conference at the Hilton Charlotte Center City. In advance of the conference, Southeast Real Estate Business spoke with Arena about the current state of the office market in the Carolinas. SREB: As someone based in the Northeast, how do people outside of the Southeast view the area from an investment standpoint? 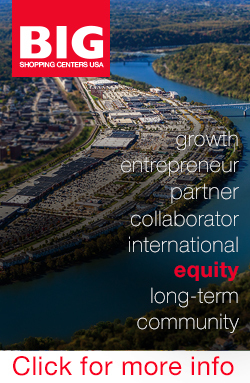 Arena: Coming from the Northeast and having dealt with many institutional investors out of New York, it is amazing to see somewhat negative interest in the area from some of those groups. Many investors still think that Charlotte is only driven by the big banks and don't understand the recovery that the city had after being dealt so many curveballs all at once. 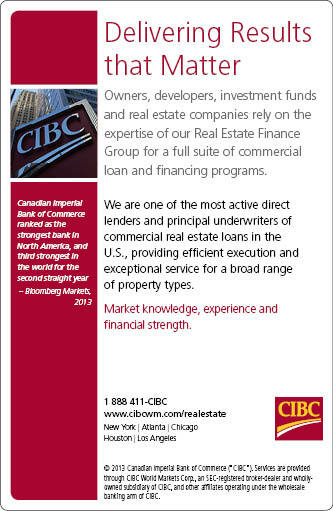 I have had many discussions with investors who I have done business with over the last 25 years, and it is so hard to change that impression with some of them. 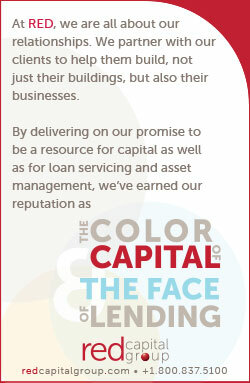 Fortunately, I have partnered up with some groups that understood the story that I painted and we have been successful. SREB: What are some takeaways about the office market in the Carolinas that you hope participants have during your Office Market Update panel? Arena: I hope that the participants walk away with an understanding of the positives and negatives of the market, and understand the key components that must remain constant in order for the market to stay strong and continue to grow. The Carolinas must learn from the mistakes of other states and realize that as quickly as a market gets hot, it can change just as quickly. I also would like the participants to understand what the current drivers in the market are. SREB: There is some speculative office development in Carolina cities like Charlotte. What does this say about the demand for new office product in such metropolitan areas? Arena: There is solid demand in cities like Charlotte because of the internal growth of some of the companies that have relocated there over the years, and because others such as Met Life see the benefits of relocating in Charlotte and Raleigh. SREB: Generally speaking, do you expect there to be an increase in spec and/or build-to-suit office construction in the next 24 months compared to the previous 24 months? Arena: The build-to-suit construction in the next 24 months will continue at a slightly higher pace than it has been due to the fact that a few internal groups such as LPL Financial are looking to take additional space and stay in the Carolinas. SREB: In your view, is the borrowing climate for new development now more favorable compared to 12 months ago? 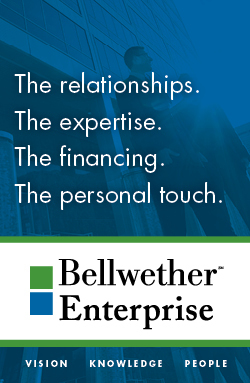 What are some of the options that borrowers have for construction/redevelopment financing? Arena: I feel the borrowing climate for new development is a little better than 12 months ago, but it is still going to be all about how much of the asset is going to be pre-leased and the credit of your anchor tenant. Plaza Construction and The Related Group plan to deliver the $88 million, six-story Marea in 2015. MIAMI BEACH, FLA. -- Plaza Construction has begun building two luxury condominium communities in South Beach for The Related Group. The properties include the $187 million One Ocean and the $88 million Marea condominiums. 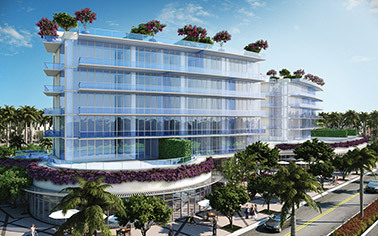 Enrique Norten of Ten Arquitectos and The Sieger Suarez Architectural Partnership designed the seven-story, 275,141-square-foot One Ocean. Sieger Suarez designed the six-story, 190,654-square-foot Marea community as well. Working on both projects, Enzo Enea is the landscape architect and Yabu Pushelberg is the interior designer. The two condominium projects are slated for completion in 2015. 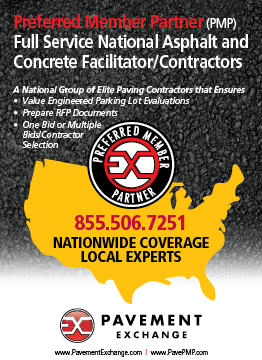 Plaza Construction is the general contractor on a total of four projects for The Related Group totaling $498 million. The other two communities include the $118 million, 42-story Icon Bay in Miami's Biscayne Corridor and the $105 million, 42-story Millecento Residences by Pininfarina. The $180 million Annapolis Junction Town Center will include Class A office space, luxury apartments, a hotel, retail and a MARC station. ANNAPOLIS JUNCTION, MD. -- Somerset Construction Co. and OA Partners have broken ground on Annapolis Junction Town Center, a mixed-use, transit-oriented development in Annapolis Junction, equidistant from Baltimore and Washington, D.C. The $180 million property will feature 100,000 square feet of Class A office space, 416 luxury apartment residences, a 150-room hotel, 17,250 square feet of retail space and a new transit station for the Maryland Rail Commuter line featuring a 700-space parking garage. The MARC station and parking garage will open in the fall of this year, and the retail, office, hotel and apartment components will open in 2016. The project team includes office developer Corporate Office Properties Trust, residential and retail developer Southern Management Corp. and general contractor Whiting-Turner Construction Co. The fully leased, 285,000-square-foot FedEx Ground distribution center is located at 2700 N.W. 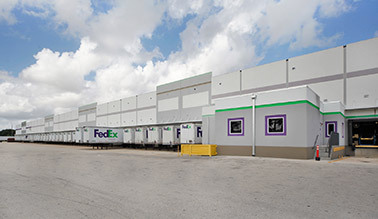 25th St. in Pompano Beach, Fla.
POMPANO BEACH, FLA. -- CBRE has arranged the sale of a fully leased, 285,000-square-foot FedEx Ground distribution center located at 2700 N.W. 25th St. in Pompano Beach. 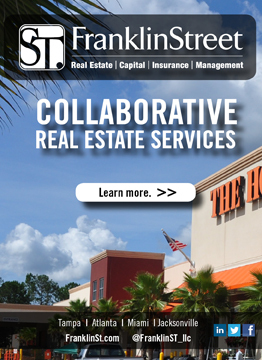 Christian Lee, Chris Riley, Brian Budnick, Compie Newman, Jose Antonio Lobon and Tom O'Loughlin represented the seller, Charlotte-based Ft. Lauderdale BTS LLC, in the transaction. TIAA-CREF purchased the asset, which features 30-foot clear heights, 90- to 160-foot deep truck courtyards, a conveyer system, trailer storage parking and a fully fenced perimeter. 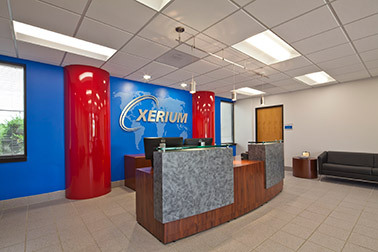 YOUNGSVILLE, N.C. -- Trinity Partners Construction Services has completed the renovation of Xerium Technologies' 43,387-square-foot office located at 14101 Capital Blvd. in Youngsville. Xerium Technologies is a manufacturer and supplier of products used in the paper manufacturing business. The project included updated office space, a new fitness center, dining area with full kitchen and an outdoor patio with an outdoor kitchen. The building's owner, Clemmons and Berenthal LLC, tapped Trinity Partners Construction, a division of Trinity Partners, for the construction project. Phillips Architecture PA designed the renovation project. ATLANTA -- While PKF Hospitality Research forecasts a record year for hospitality across the United States, the Atlanta market is expected to shine as well (read PKF's U.S. report below). 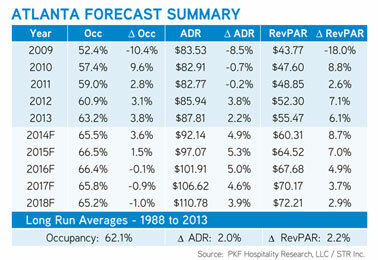 By year-end 2014, Atlanta hotels are forecast to see an annual RevPAR increase of 8.7 percent, which is a result of an estimated 3.6 percent increase in occupancy and a 4.9 percent gain in average daily room rates (ADR). 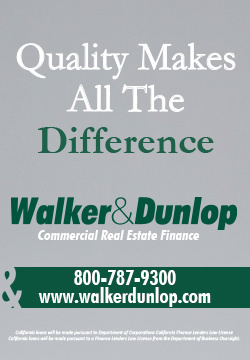 According to the Federal Reserve Bank, Atlanta's economy expanded at a modest pace from mid-February through March, and businesses are optimistically expecting near-term activity to grow at a moderate pace. Despite a decline in travel in January due to weather conditions and possible negative impacts on the number of travelers due to international political issues, Atlanta's tourism industry expects to see an increase in business in the next six months compared with a year ago. Looking toward 2015, Atlanta RevPAR is expected to grow 7 percent, which is less than the rate of growth in 2014. Prospects for RevPAR growth in the lower-priced segment, which is currently the hot market, (positive 8.4 percent) are better than in the upper-priced segment (positive 6 percent). Additionally, Atlanta market occupancy levels are expected to range from 65.2 percent to 66.5 percent during the five-year forecast period. 196 Montgomery Ferry Drive N.E.